Minimizing the fuss with crisp, clean lines, this tall bookcase with cabinet storage goes to town on wonderfully weathered texture inspired by driftwood. 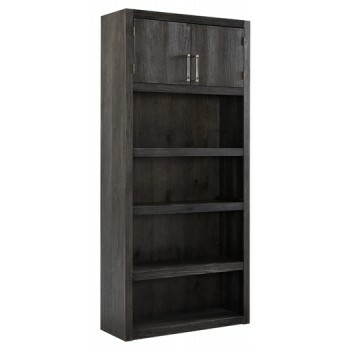 The bookcase's gray-brown finish over pine veneers is easy on the eyes and sure to please. Whether used as a stand-alone bookcase or attached to the optional modular desk, it’s a casually cool look that simply works.